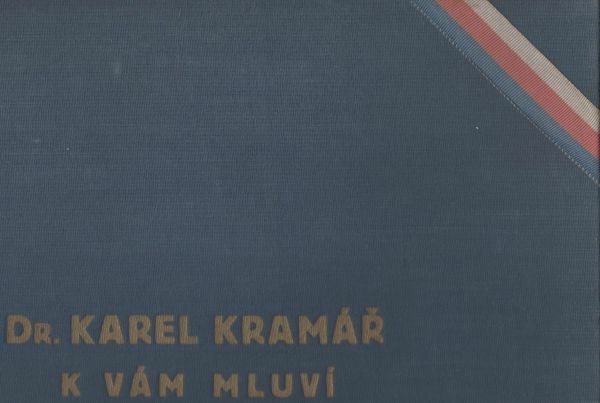 For upcoming publication of a book titled "Sound Industry in Czech Lands 1900-1946" I look for a picture of the Victor label with a speech given in 1928 by the founder and first president of Czechoslovakia T. G. Masaryk - a spectacular orange-colored label with a photo of Masaryk flanked by colored flags on the top. Also, I look for a picture of US Brunswick label with any recording of the New York Quartet - its all members were of the Czech origin. Can anybody help? Thanks! nice to have you among us. I sincerely wish that you will find what you want and I am looking forward to the announced publication. I have and enjoy a number of opera and lieder discs with Czech singers like Karel Burian, Ema Destinnová, Otakar Mařák, Leo Slezak and, last but not least, Gustav Walter. thanks for kind words.The book should be published this year already. 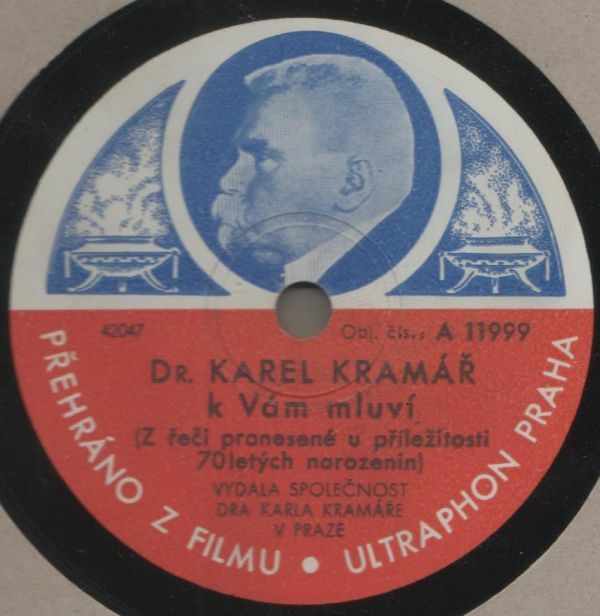 Sorry, Kramář's speech was recorded in 1930, but the album dates from 1938. Matrix 42047 is a dubbing.